The newest darling to add to my already growing collection of much-loved Saddleback Leather bags: the Love41 tote. Can we talk about how much I love the pockets? 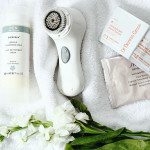 Unfortunately not pictured (blogger fail) are the additional internal ones – perfect for cellphones, lip gloss, and the myriad of other objects I manage to hoard in my bags. 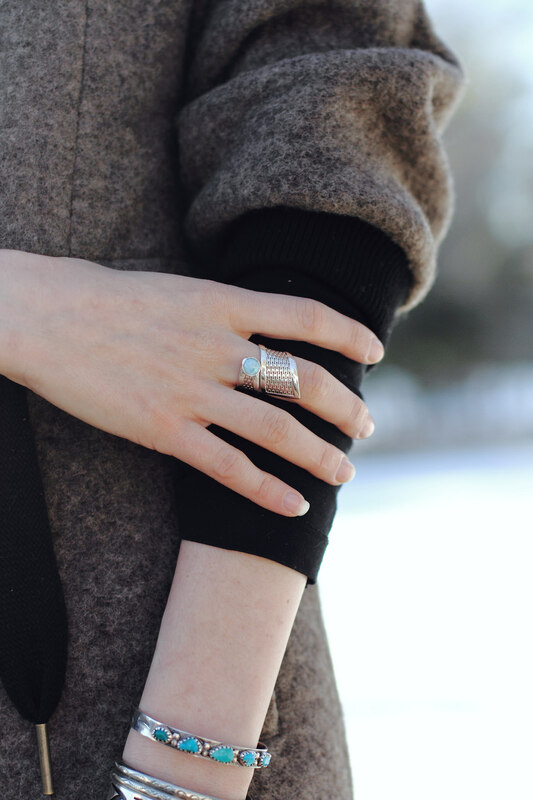 Another exciting addition to my closet is this beautiful Larimar ring (check out the rest of their collection – the shapes are stunning!). You might have already noticed how fond I am of my southwestern silver jewelry and this piece matches perfectly with my collection of bracelets. Jean Michel Cazabat boots – currently on sale! Love this outfit! Gorgeous bag and boots! And who ever said black and brown don't go well together? I love everything about this! Your pieces are so classic and gorgeous, and I swear you're influencing my style lately. I'm really drawn to pieces like this. That coat is incredible. That sweater! Those boots! Love it! Saddle back bags are really beautiful. 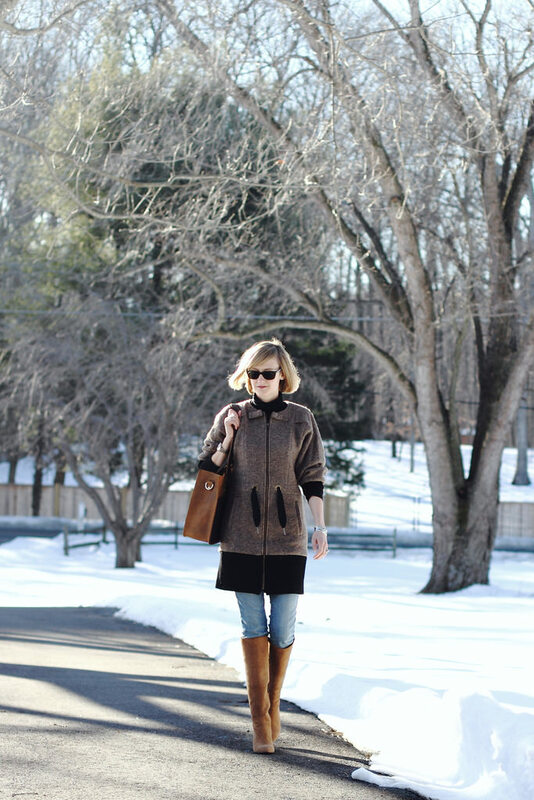 I can't get over how perfectly this one coordinates with your boots! Okay, you are seriously so chic. You make everything look so effortlessly glam. I love your boots, the detail on your coat, and your new bag. Also, how was I not following ALL of your social channels?! Just fixed that! 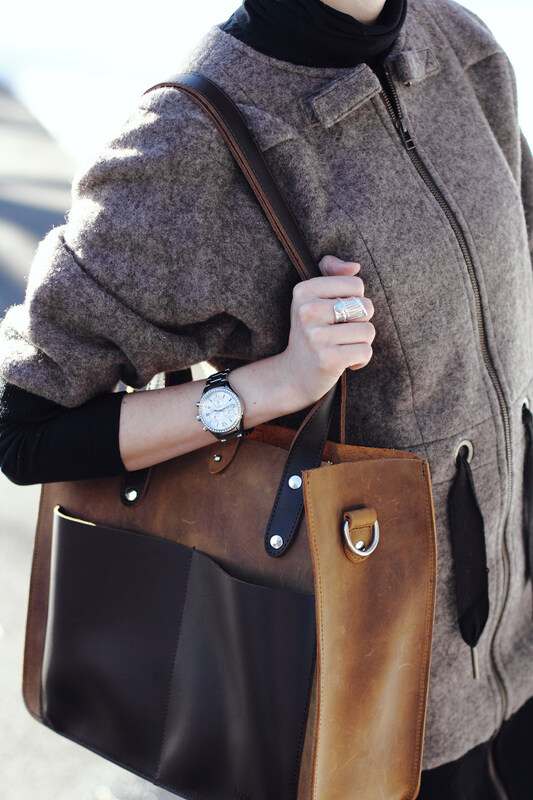 Love the coat and handbag. 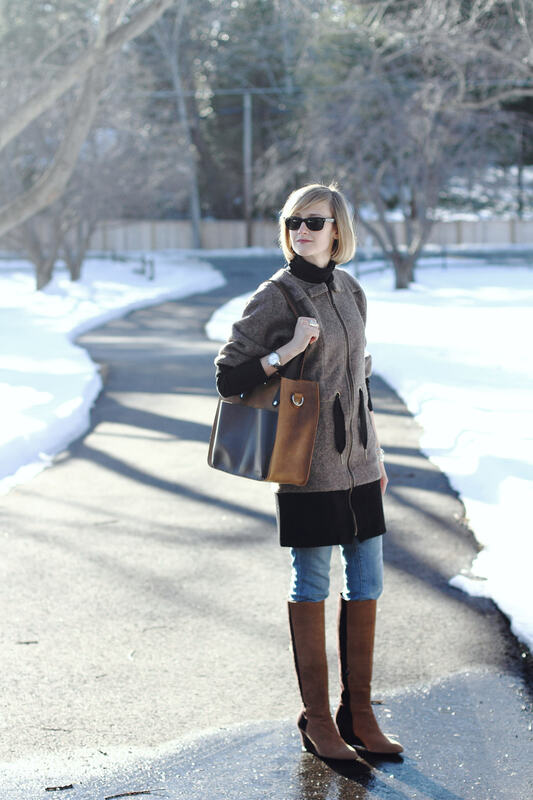 Perfect winter look!